Hey everyone! Today, I have a very special review to present to you all. Before we get started, I just want to say I love desserts. Chocolates. Cookies. Cupcakes. Cake. I would almost go as far to say I love anything with sugar in it that tastes good. This particular chocolate & pastry shop that I’m reviewing today has been on my eye for the last couple months. I just never had the time to get over there. I wish I’d gone sooner because they are one of the best in the area. As soon as I stepped through the doors I was greeted with warm hospitality. The woman behind the counter told me to take my time and one of the owners even came out and chatted with me about my work as well as his own. 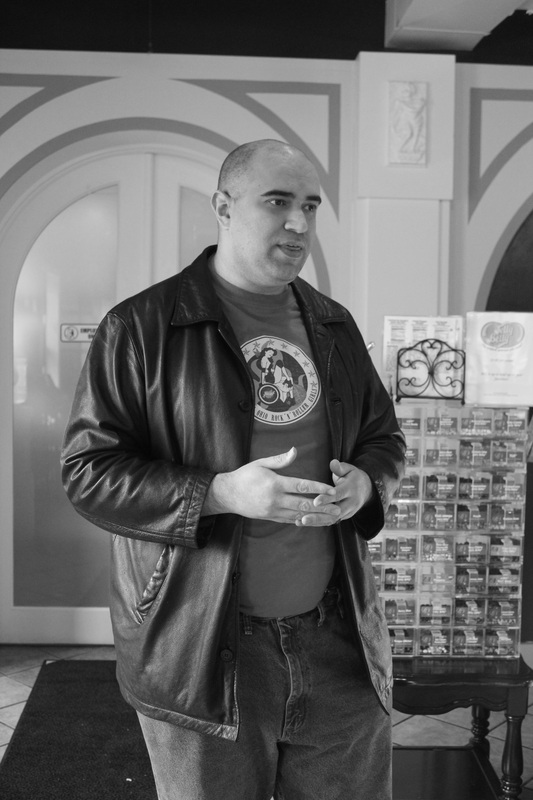 It was one of the most pleasurable experiences I’ve had at a business. But I’m getting too far ahead of myself. 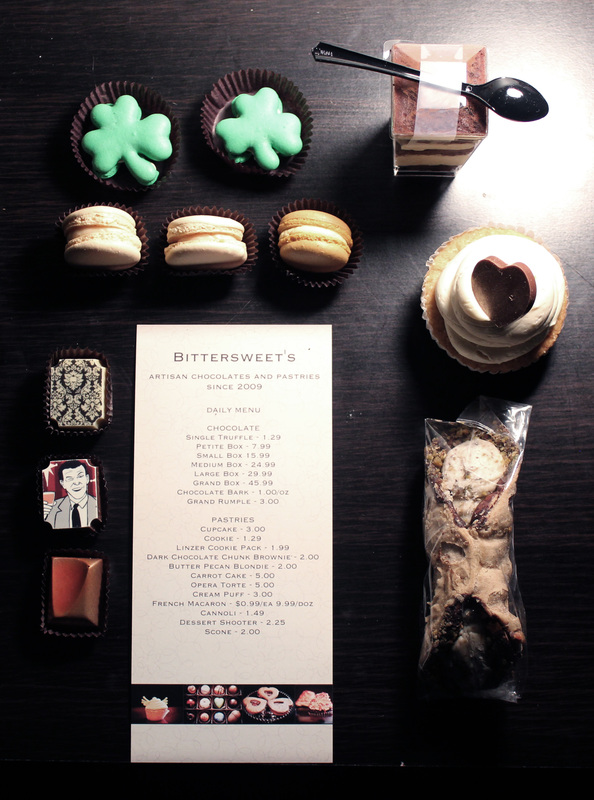 First of all, Bittersweet’s Chocolate & Pastry has been open to the public since 2009. 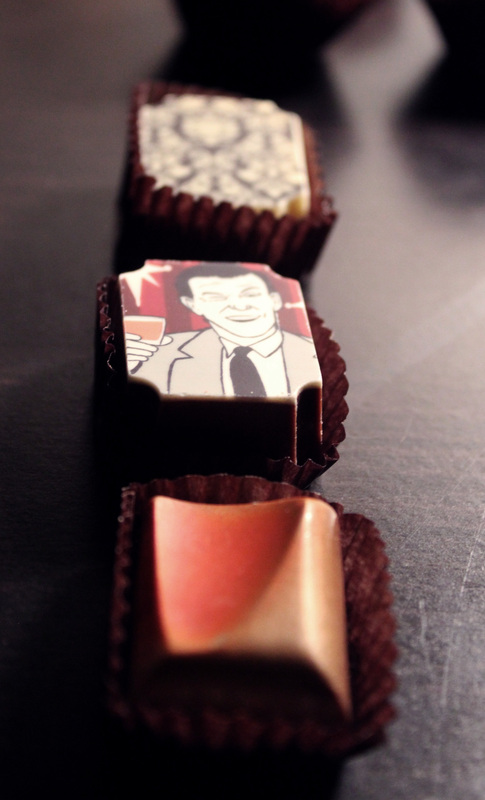 It was started by a husband and wife who seem to really enjoy the art of making artisan chocolates and pastries. After speaking with Todd Horvath, one of the owners, I learned that he originally wanted to be an artist but his parents pushed him to culinary. There he found out that he could blend art and food, the best of both worlds. The establishment is quite cute. The customer area isn’t very big, but it doesn’t really need to be. I loved the fact that they have windows to the kitchen. I really like the idea of being able take a peek into where the magic happens. On the walls there are paintings that Todd told me were made of chocolate! How cool is that? 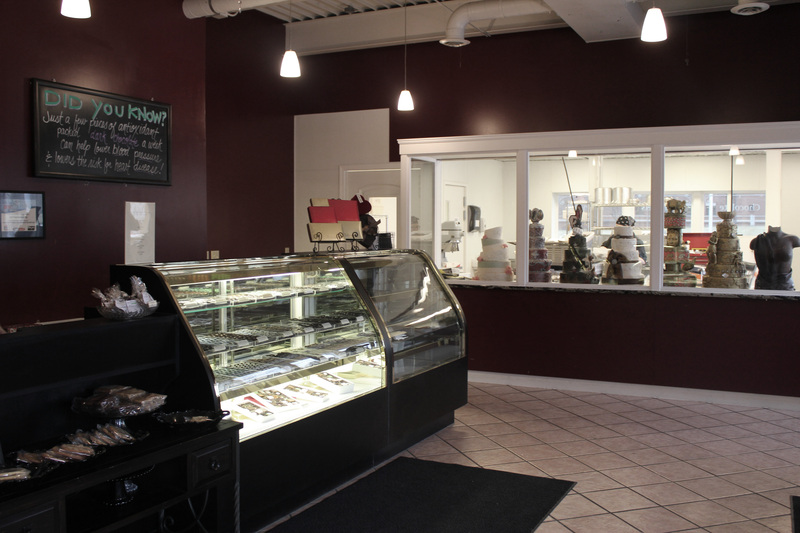 The main attraction is a lengthy display case that features all of their chocolates and pastries that they make daily. I ended up picking out a few different kinds so I could give a fair review. I’ll go through each item and give a brief description of their taste. When judging macarons, I look for a few key things. Are there a ton of air bubbles? Do they taste stale? Where do they store them? And what’s the overall favor/texture? Salted Caramel: These were salty sweet without a ton of air bubbles. I’ve had a macaron that had a hollow shell and that’s not good. These were perfect in my opinion. They weren’t overly hard, but the outer layer had a nice crunch to it while the inside was soft with a nice buttercream filling. They reminded me of a salted caramel chew. I also like the fact that they keep them in the freezer. Passion Fruit: This has to be my favorite item that I tried (The Salted Caramel Macaron came in a close second). This really tastes like passion fruit. It wasn’t overly sweet and it had a nice balance of soft and crunchy. There were no major air bubbles with these as well. Shamrock: I thought that these were a really cute idea with St. Patrick’s Day coming up. The filling is made with Bailey’s. That’s awesome. If you’ve had Bailey’s before then these will taste very familiar to you. I need to give a bit of a back story on Tiramisu. It is an Italian dessert that means “Pick me Up.” I’ve only tried it one other time and it was when I was a lot younger and had not acquired a taste for coffee. That being said, it was not a pleasant experience for me at that time. Now that I’m much older, I wanted to give it a real try. Bittersweet’s tiramisu shooter was soft, sweet with a strong coffee flavor. The cream gave it a nice balance and the lady fingers weren’t really soggy which I hear is a good thing. The blend of textures was nice and it made me want a cup of coffee to pair it with. White Russian Truffle: Wow. These were surprising. They are one of the liquor truffles and you can definitely taste it. It has a thicker filling than the other two. A bit strong for my taste, but still good. Orange Chocolate Truffle: I’m not completely sure what was all in this one or even the actual name, but I know for a fact that it was chocolate and had orange in it. It was very balanced with not one overpowering the other. Maple Whiskey Truffle: This was really good. It was another liquor truffle and I liked it a lot. The liquor wasn’t really strong like the White Russian but you could still taste it. The maple was a very dominate flavor. I learned upon inquiry that all of their cupcakes have filling in them. I’m not a huge filling fan when it comes to cakes, cupcakes, or doughnuts, but I decided to give it a try. 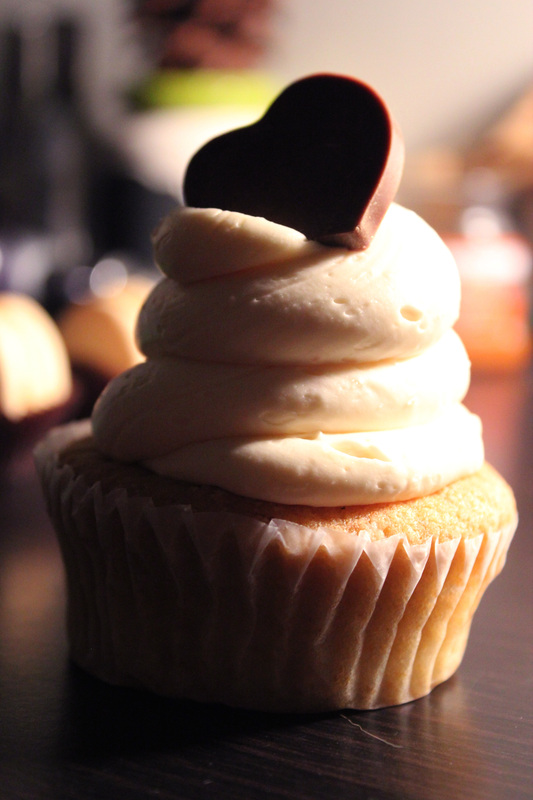 The Salted Caramel Cupcake was dense with a caramel filling and thick buttercream on top. For those of you that know me, you know that I am not an icing person either. I loved the buttercream. It was smooth and tasted like salted caramel with butter. This was a good quality cupcake in my opinion although I’d probably try one of the cakes next time. I’m not a huge cannoli fan. 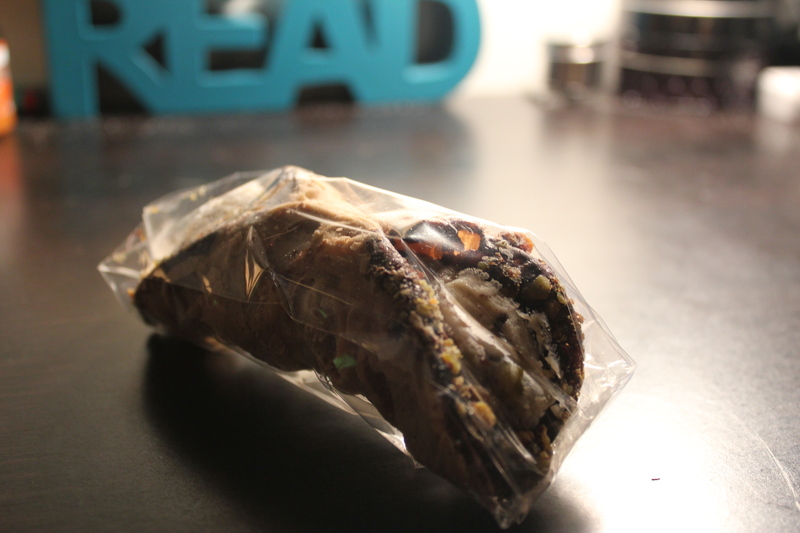 It’s the filling thing again, but their cannoli had so many delicious things in them that I couldn’t help but give it a try. It’s definitely one of the best I’ve had. It wasn’t extremely dry and stale tasting and the cream wasn’t super soft and squirting everywhere. That could be due to the fact that I had it in the refrigerator prior to my taste-test, but I appreciated it nonetheless. It had a nice coating of nuts in the chocolate that filled the inner part of the shell. It looked like there were even some in the filling. I know I tasted pistachio. It was pretty good. I would probably select something more solid next time because I’m still not a cannoli fan. Overall, this is one of the best places in the area to get desserts that I’ve found. I love that they produce good quality desserts across the board. Not one that I tried was lacking in anything and that is a pretty hard thing to do. They’re also quite affordable. I got everything for around $15. That’s a steal for the quality you’re getting. I would love to try one of their custom cakes one day. They all look so cool and I bet they taste fabulous. On a scale of 1 to 10, I would give them a solid 9.6. If you don’t believe me then go try them for yourself. They also have an online store that is linked below. These look soooo good. And I am absolutely in love with the photo above French macaroons. They were just as good as they looked and thank you. I appreciate that.